Matt Short is a producer/director and aerial photographer for Lockheed Martin Aeronautics in Fort Worth, TX. As the son of a Marine Corps fighter pilot, Matt grew up with a natural love for aviation. With 20+ years experience in the production industry, he now gets to combine his two life-long passions of aviation and photography. 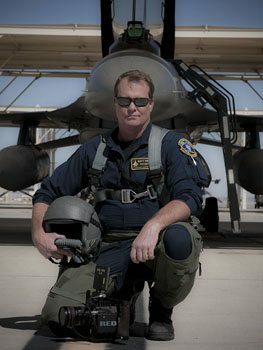 Matt is aircrew qualified to fly in fighters and has logged over 400 hours shooting from the back seat of F-16s. While primarily covering flight testing and development of the F-35, Matt’s work has garnered numerous magazine covers, ad campaigns, documentaries and television commercials.